A Ficino School education is multi-faceted; designed to realise the unique potential within each child. Children who come to Ficino School develop confidence, a love of learning and a strong sense of self, while growing their innate ability to care for others. 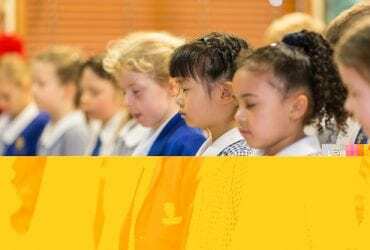 Our programme is based on three platforms: striving for academic excellence, expanding children’s horizons through the rich material found in our global traditions, and practising mindfulness. Using mindfulness techniques, our students develop self-discipline and the ability to attend, facilitating substantial learning. By fostering a love of learning, teaching the ability to be calm and centered and encouraging children to have respect for all, Ficino School helps our students to build strong foundations for life. Please visit us to experience Ficino School for yourself.